Full Genuine condition.. 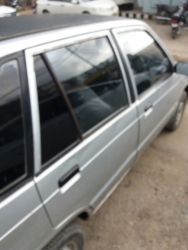 Beige color.. No Shower.. No touch Up.. CPLC Clear.. All Documents.. Family used car.. Complete original files, CPLC cleared and registered on my name. No work in engine. Active on CNG and peteol both. Chilled AC abd smooth and soundless drive. 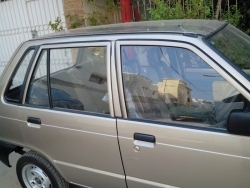 Family used car in perfect condition with factory fitted CNG. No work required in car just buy and drive. I need to sell it urgently. Taxes paid. 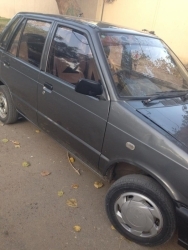 Suzuki Mehran Model 2000 CNG/Petrol Active In routine Use Very Good Fuel Average Tires/ Radiator, Seat Covers and Silencer and few more parts were were recently changed. All required documents are available. Major required work is full shower. I intentionally avoided to color/ shower so that customer can see the originality as better as possible. Price is not negotiable. Sunday, 14th August is the last day to call/ put offer. I will sale it InshaAllah on this 14th August finally. 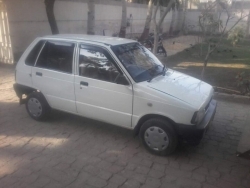 The car is in very good condition, the CNG is installed 3 months before, before that totally on petrol, that's why engine is in very good condition, First owner, originally painted, MP3 player installed, CNG kit with Guarantee card, complete documents and tax paid upto year 2016. 9/10 condition Alloy rims Company fitted cng Chilled AC Water droping engine. Brand new .. in its original condition in sand Beige colour .no need of a minor work required. 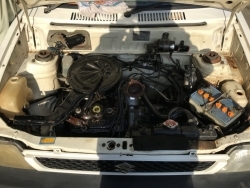 suzuki mehran VX euro 2 engine model 2015 . on petrol because it gives and great average on petrol ..unregistered car.. original pics attached. 2 Years Warranty Cars is also enclosed with it. 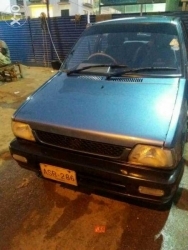 Assalam-o-Alikum Guyz.... Iam Selling My Mehran 2002 Model.. 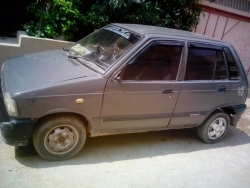 Following Are The Features : *CNG/PETROL(Both Are Working) *Chilled A/c *PowerFul Sealed Engine *Newely Install Alloy Rims *New Battery(In Warranty) *USB Player With AUX And Memory Card *New PowerFul Speakers Original Inside Outside Shower....Awesome Average Car Is Mostly Running On Petrol..Good Average....Bohat Kum Chali Hui Hay Gaari..Car Kabhi Chori Nae Hui..CPLC Clear With Return File,Original Documents And Original Number Plates..Tax Paid Upto June 2015.No Major Accident..Faimly Used Car..Not A Single Penny Work Required..Just Buy And Drive.My Demand Is Three Lac 55 Thousand Which Is Negotiable Brokers Stay Away..